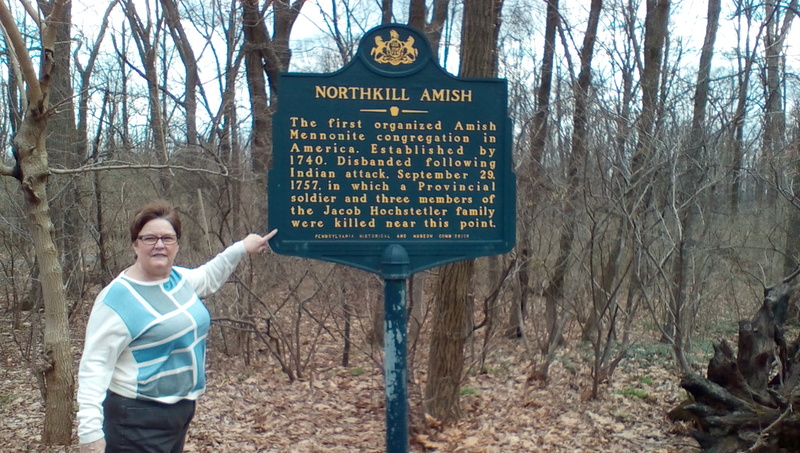 Who would believe that one of our ancestors from the 18th century is a household name among many of the Amish and Mennonite of the United States. According to Chapter One in John Sharp’s new book, Gathering at the Hearth: Stories Mennonites Tell, “One of the often-told tales among the Amish is the story of the Indian attack on immigrant Jacob Hochstetler’s family in 1757” (15). Our real-life title character, “Indian John” Miller, or “Hannes,” short for the German Johannes, was also a victim of that incident, what came to be called “The Hochstetler Massacre.” For a more “scholarly” history of the life and times of Indian John, his family, and community, read Gordon W. Miller’s account in the January 2014 Mennonite Family History, reprinted with permission. Other historical fiction versions have become available, including Ervin R. Stutzman’s fascinating trilogy that began with Jacob’s Choice in 2014. To use my son Matthew Pearce’s history/physics metaphor, there was a significant “Push-Pull” for all immigrants to move westward. (See “Exodus from Germany: German Emigration to America.”) The Push was the overcrowding by the new arrivals from Europe, and the Pull was to claim the cheap land in the West before it was all gone. The Amish were not immune to these forces. Hepburn says, “The Amish-Mennonite settlements in our Somerset County were populated by more Hessian (Germans from the region of Hesse) Amish from eastern PA than any other area” (primarily 1830-1860). 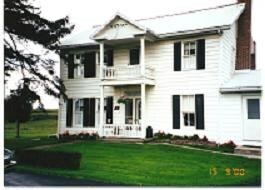 They settled in three portions of the County5, but ironically, the Springs, PA-Grantsville, MD, community where Christian Miller put down roots, along with other Northkill Amish families, including other Millers, is the only Old Order Amish community still in existence in the county today. (See “The Many Christian Millers.”) Christian Miller goes back eleven generations from my children. It’s his great-great grandson Hannes “Indian John” Miller, believed to have been born in Europe, around whom this story centers. So, let’s go back to 1757 and the Northkill community to find out how “Indian John” got his name. The Northkill is a creek in north-central Berks County, and the Scots-Irish term “kill” has several meanings: first, a channel of water; and second, the place of a lime kiln, where fire is used to separate earth from limestone, the stone later being pulverized for use in farming. The Amish were well-known for choosing well-watered land, rich in limestone, and the Northkill certainly met all their requirements. That land east of the Blue Ridge Mountains was supposed to have been safe, according to agreements between Indians and Whites, but the years 1754-1763 had the Native Americans aligning with the French against the English and German settlers. 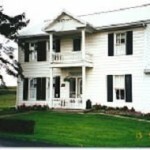 In the early autumn, September 19 to be exact, the youth of the community had gathered at the home of Amishman Jacob Hochstetler for a “frolic,” a work party – specifically a “schnitzing,” a time to peel, core, and slice apples for drying – to be used throughout the winter months for pies and schnitzels. After the young people had gone home by lantern and buggy and the six Hochstetlers had gone to bed, all God’s children seemed at peace. No sooner had father Jacob opened the door to make peace than a shot rang out and a musket ball shattered his leg. If the family wondered what would happen next, they didn’t have to wait long. The flickering of several fires was proof that the red men had set the barn and the out buildings ablaze. Soon, as the Indians set the house on fire, deadly flames and intense heat threatened the six inside. The Hochstetlers quickly climbed down the ladder to the basement, using recently pressed apple cider to douse the inferno as best they could. Whether fearing the flames inspired them to desperate action or the family simply thought the pre-dawn stillness meant the natives had gone, we’ll never know for certain. But, the truth was that, as the Hochstetlers frantically crawled up through a basement window, the Indians quickly encircled the house to prevent anyone from escaping. Accounts tell us today that three family members were killed immediately, stabbed and chopped: a young daughter, 10 year-old Jacob Jr. and buxom Mother Hochstetler, who had reportedly gotten stuck in the window casement. These three were scalped. According to Sharp, an older son, John, who lived nearby, came running when he heard and saw the commotion but could do nothing to save his family. Father Jacob and sons Joseph and Christian were all taken captive and transported across the Alleghenies where they were separated, the boys being adopted by different tribes. Sources say that, altogether, over 200 Whites were murdered in Berks County over that period, with virtually every homestead razed or damaged in some way. Many survivors remained prisoners of the Natives, including Joseph and Christian, until the treaty with the British was signed in 1763. Even then, Jacob had to personally petition the Lieutenant Governor for his sons’ release as part of the deal. Joseph was returned but Christian, according to Sharp, “came back on his own. Both struggled to adjust to the strange ways of their familiar culture, even schnitzing parties” (18). It seems that the lesson in this true story is two-fold: first, the early days on the Pennsylvania frontier was not the romantic picture painted by film and television of the 1950’s; and second, our Native Americans were not the innocent victims the revisionist historians of the 21st century paint them to be. However, it also seems that Pennsylvania’s early Quakers and Amish tried to avoid violence and war among the national and ethnic parties whenever possible. Tax rolls and adjacent farm ownership records corroborate this. Virgil Miller has located an older plat book in the county courthouse that lists the Herr property as originally owned by John Miller, Sr. in 1786. In addition, an old gravestone on the farm has been identified as that of his wife Magdalena Lehman Miller (1732-1817). The evidence now for the “Indian John” Miller estate is conclusive, although the identity of Christian Herr is not. It was “Indian John’s” youngest daughter, Elizabeth (b.1770) who married Joseph Christoph Speicher (b. 1768). Their granddaughter Laura (1859-1919) married Thomas “Tommy” Lee’s (1816-1900)6son Christian (1858-1906) to produce my wife’s Amish grandmother, Annie Lee (1885-1971). Annie then left the Amish sect to marry a Lutheran from nearby Cove, MD, Charles Krause (1884-1973) who produced my wife Susan’s mother, Hilda (1921-1997) who also married a Lutheran, the aforementioned descendant of middle Somerset County’s Quemahoning Township, Joseph “Yost” Miller. I guess where Millers are concerned, what goes around comes around. And to think that my paternal great-great-grandfather, the Englishman Richard Pearce (1782/5-1861), the first of that part of the family to arrive in American (1820), was, according to our family narrative, “a miller by trade.” (See “The Pearce-Austen Original Family Narrative.”) How ironic! Blackburn, and Wefley. History of Bedford, Somerset, and Fulton Counties. Chicago: Lewis Publishing Co., 1906. History of Bedford, Somerset, & Fulton Counties. Chicago: Waterman, Watkins, & Co., 1884. Hochstetler, Harvey. Descendants of Jacob Hochstetler. Reprint. Unknown: Gospel Book Store, 1912. Mennonite Encyclopedia, Vol. I, A-C. Hillsboro, KS: Mennonite Brethren Publishing House, 1956. Miller, J. Virgil. Anniversary History of the Family of John “Hannes” Miller, Sr. Morgantown, PA: Masthoff Press, 1998. Pearce, Matthew C. “”Exodus from Germany: German Emigration to America.” A paper submitted for partial completion of graduation requirements at the University of Pennsylvania, 1992. Today spelled “Hostetler,” our modern Mennonite neighbors provided the Super Bowl XXV winning quarterback for the New York Giants, Jeff “Hoss” Hostetler (b. 1961), who was a former student of my wife, and Spook (b. 2007), the prolific father of my flock of sheep, raised by Mrs. John Hostetler of Hollsopple. Some researchers believe that the ship Charming Nancy carried the boy “Indian John” (youngsters were not listed), his father Christian Daniel or Jacob, and possibly an uncle from Germany in 1737. Other believe it could have been a later ship, in 1742 or 1749. The family genealogical articles and trees referred to in this paper are available at E-gen.info or by contacting the author at pearce@atlanticbb.net. The North, in and around present day Johnstown and Conemaugh Township; the South-Central, or the Berlin-Brothersvalley area; and the South, what today is Salisbury, Springs, and Elk Lick Township around the Casselman River. The Lee surname is probably Irish, and we know from the 1906 History of Bedford & Somerset Counties that there was an Irish settlement in early Elk Lick Township called Paddytown. Our Lees were from nearby Milford Township, and Thomas, Sr. married Catherine (yet another) Miller, this one from West Virginia, just across the Mason-Dixon line. Tommy’s mother Catherine held a deed to property near there after they moved from Eastern Pennsylvania. We don’t know much about her husband except that he disappeared from Census records after 1830, and young Tommy was probably apprenticed to an Amish family to learn basic farming skills and even his trademark spinning wheel manufacturing technique. Amish Bishop Benedict Miller was the contractor. By 1876, Thomas Lee’s farm is listed in the Beers Atlas for the area, amid the Amish, of course. I have my doubts you are tied to “Indian” John Miller. I am a descendent of John and a number of his Amish associates who came to Somerset County in the 1770’s from the Northkill Amish area of Berks County. John had a son Joseph, but he is not your Joseph. The confusion is tied to the fact there are two Joseph Miller families in Quemahoning Township. There are also two Joseph Millers who died in Quemahoning Township in 1860 both with wives named Mary. There is your Joseph Miller, and there is “Yost” Miller. “Yost” died in January 1860 (is in the mortality census). “Yost” is a grandson of “Indian” John Miller. A key indicator is he lived next to Michael Speicher, his 1st cousin, once removed. The son of “Yost” named Joseph, married the daughter of Michael Speicher. There was a close connection between the Speicher and Amish Miller families who came from the Amish settlement in Berks County. Unfortunately, I believe you have misinterpreted or just “missed” some of my research. On the other hand, I know I could have made connections falsely, as many other genealogists before me have. The important thing is that we continue our work, admitting when we have erred, if we know we have. Thanks to readers like you, we are constantly reviewing our work. First of all, there have been many Joseph Millers in Somerset County. My wife’s Paternal “Yost” Miller was a Lutheran, a Revolutionary War vet, and is buried with his family near Coleman Station as indicated in “Introduction: Miller.” Now, here’s where it gets interesting: there is at least one and maybe two descendants of Amishman “Indian John” Miller who married into our “Yost” Miller’s descendants. See Elisabeth Miller marrying Christian Baer (http://e-gen.info/?page_id=136), buried at Blough Mennonite Church, and Christian Speicher (http://e-gen.info/?page_id=97), whose descendant Laura married Amishman Christian Lee, ancestors of my wife’s maternal Krause family. Again, thank you so much for asking for clarification. By the way, other “Indian John” connections are not as strong, and I am reviewing my work to be more certain in those cases. Historical records haven’t been too kind, however. Regards, and feel free to respond. Very interesting and well-written piece about Indian John and his story. My question for you, who was Indian John’s wife and did he marry more than once? The reason I ask is because dozens of sources online give him a different wife. Some sources have him married to a Catherine PRICE (a Welsh Quaker family; Old School German and Swiss-German Anabaptists sometimes married Quakers). I see you mention a LEHMAN below. That is in some sources online and not in others. It gets confusing. I should back up and say that I am definitely a descendant of Indian John. One of my g-g-grandmothers is Amanda Hershberger (b. 1872) who married Emanuel Beckler. Amanda’s parents were Paul P. Hershberger and Magdalene Kuhns/Kuntz. Paul’s parents were Veronica Miller and Paul Hershberger Sr. Veronica’s parents were Emanuel Miller and Elizabeth Yoder. Emanuel’s father was John Annas (Amos) Miller, one of the sons of Indian John. Family records all show this, e.g. compilations from Bibles, letters, deeds, etc. and online information (e.g. Ancestry.com, etc.) also shows this. We’ve never doubted our connection directly with Indian John (and I don’t doubt yours) but who the heck was his wife? I have to mention here that my grandmother, raised Mennonite, was definitely told that her mother’s family had “some English in it.” Of course, English meant anything non-German Anabaptist to the ‘New’ School Mennonites and I’m guessing it also meant anything non-German (Anabaptist or in general) to the Old School Amish. This “English” is likely the Welsh Quaker line. As you know the Welsh Quakers, along with the Scotch-Irish protestants and the German Amish, were the main settlers of rural Pennsylvania west of Philly. I know I must have a Price (< Ap Rhys) line in there somewhere. It may or may not be via Indian John. Perhaps his son John Annas Miller's wife was a Price. That's where it gets fuzzy. If you have any ideas or solid information, please let me know. C. W. Sedlak v. H.